Andrew Reynolds has received a number of business awards. These including the Surrey Business Person of the Year Award together with the Small Business of the Year Award. The panel of award judges included. Royal Bank of Scotland, Deloitte, Surrey Advertiser, Eagle Radio, The Institute of Customer Service, Surrey County Council, Surrey Economic Partnership, University College of Creative Arts and Business Link Surrey. 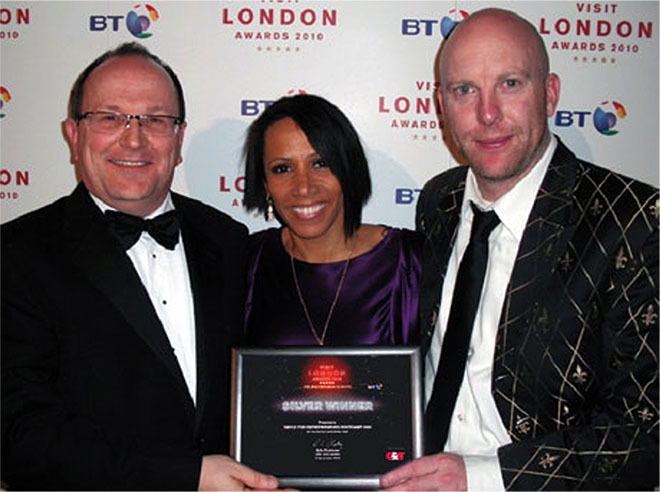 Further awards have followed including Business Event of the Year for his sold out Entrepreneurs Bootcamp. This charity event was held at the O2 Arena in London. The event was attended by 8,000 home based business owners from all over the world. This event raised over £700,000 for the Make-A-Wish Foundation children’s charity. 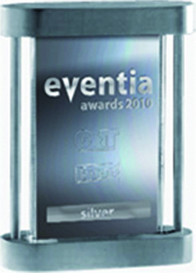 Andrew Reynolds O2 event also won the silver award for Best UK and International Conference. This was for the O2 Bootcamp event, which boasted the largest indoor projection screen ever used in Europe. The staging also included other cutting edge audio visual systems designed to make the event accessible to everyone seated in the arena. Andrew Reynolds has since appeared on television a number of times. Channels including Sky, with the Entrepreneur Channel, BBC1 and BBC2 for his patronage of the Make your Mark with a Tenner campaign. Most unexpected was an interview on Korean TV talking about young people in business. He became a Patron of the Prince’s Trust. He has also been commended for his business initiatives for young people such as Make Your Mark with a Tenner. An initiative he funded to teach young people about making money on a budget and about the importance of social. His charity work has seen him raising and donation £Millions of pounds to children’s charities. These include Great Ormond Street and the Make A Wish foundation. His latest projects have raised money for Blind Children UK and London’s Children with Cancer UK, based on Great Ormond Street. Andrew Reynolds also funds a soup kitchen in South Africa. This kitchen feeds up to 400 kids each day with three meals a day.